Both bedrooms at Fairview are set up as twins. Each single bed has a double sized silk duvet, two generous pillows and 100% cotton bed linen. 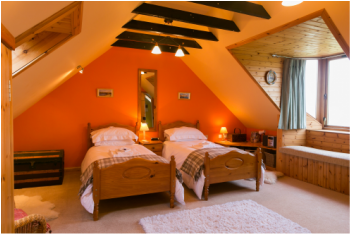 We can arrange to have the beds in either room set up as a double if you would prefer it. Each bedroom has an en-suite toilet and wash-hand basin, including a heated towel rail. 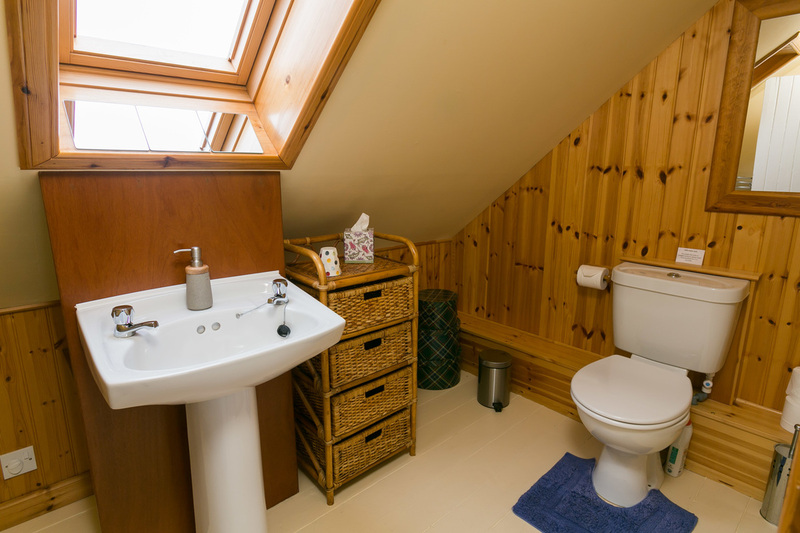 These rooms also have hairdryers and plenty of space for your toiletries. Hot water bottles are also available for each guest. 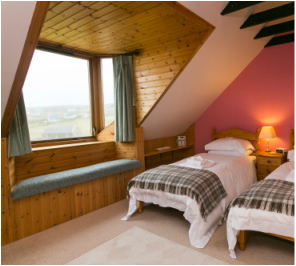 The bedrooms are equipped with clock/radios and there is a bedside tea maker available. Each dormer window is set up with a bench and cushions below the window so that you can relax here and read a book or enjoy the view in privacy. Either side of the windows are shelves and baskets for storing your clothes and there is also hanging space.